To the crown of Karkonosze (Giant Mountains) via Kocioł Małego Stawu (Small Tarn Cirque). What season? Recommended all year round. Most of the roads are gravel so it shouldn't be a problem to carry a child in a baby carrier. However, on a top of Snowy Summit the wind can be very strong. The trekking starts at the entrance to the Karkonoski National Park situated next to Kościółek Wang (Wang Church). Approximately 50 minute walk along the blue trail will take you to Polana (Glade). The initial part of the travel has a few challenging, steep sections. Therefore, Polana is a great place for a break or picnic as there is a nice rest area built for tourists. Upon resuming your trip, follow the blue signs until Kozi Mostek (Goat Bridge). Arriving at the junction take the left. Do not follow the blue trail during wintertime as it is prohibited to enter the area behind the woods. The hillsides here are very steep, hence, the avalanche danger is high. Pass by Domek Myśliwski (Hunting Lodge). The next turn left will direct you to Samotnia shelter (Hermitage, samotnia.com.pl) which lies in one of the most beautiful places of the area. It offers traditional food, wonderful atmosphere and 50 beds. 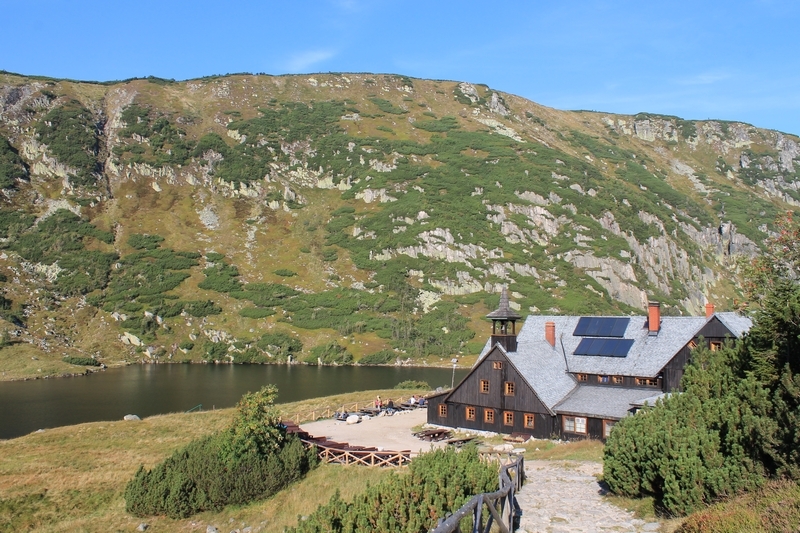 The lodge is situated by Mały Staw (Small Tarn) and is surrounded by the sharp angled slopes that form almost vertical walls. The inclines are covered with rich sub-alpine vegetation. It is definitely one of those places where everybody wants to stay for a little bit longer. Once you feast your eyes on this picturesque scenery, restart your trek and walk up the hill for about 15 minutes. The blue markers will direct you to the next beautiful, topographic point which is Strzecha Akademicka shelter (Academic Thatch House, www.strzechaakademicka.pl). The place offers 140 beds, tasty food and a fantastic view. Continue the hike behind the blue trail until you reach the intersection, turn left and advance along the ridge. 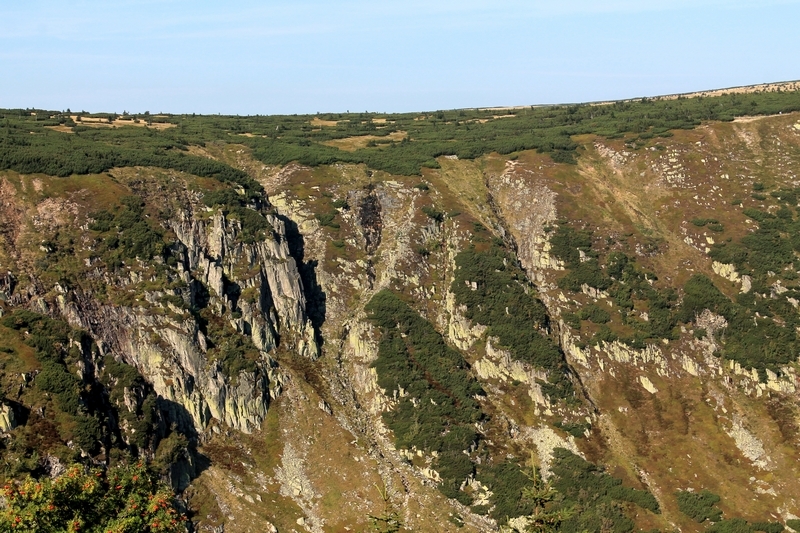 From now on, up until Dom Śląski shelter you will be walking over Równia Pod Śnieżką (Plateau under Śnieżka, 1350-1450m.a.s.l.). 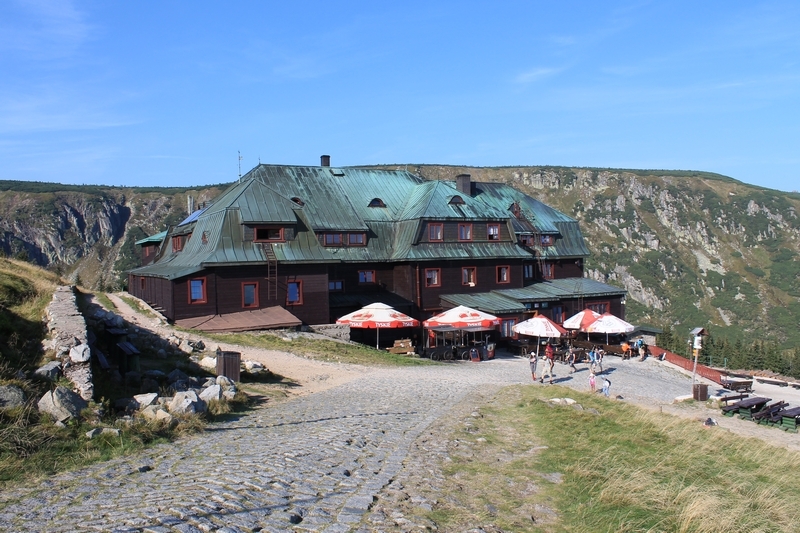 The red trail will lead you to the top of Śnieżka (Snowy Summit). Enjoy your stay on the chin of Sudety . Come back the same way passing by Dom Śląski (www.domslaski.pl) which serves food and can host up to 72 people overnight. 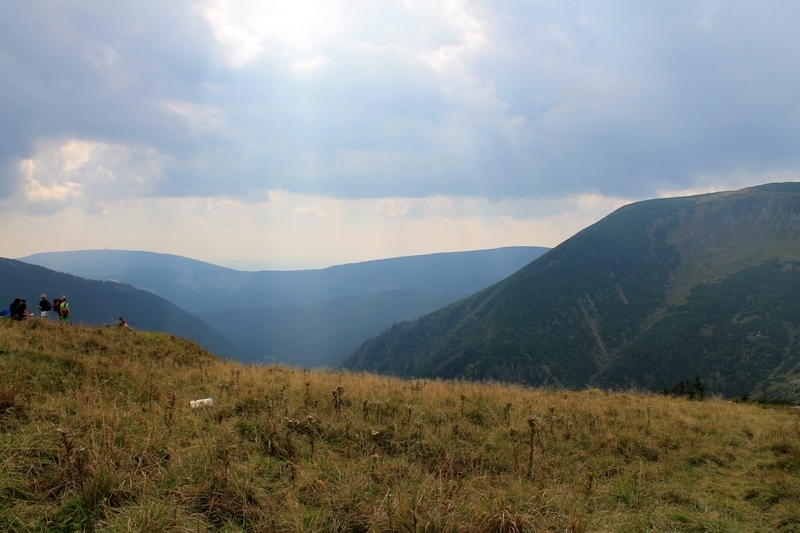 You need to return to Strzecha Akademicka shelter and begin descending along the yellow trail. 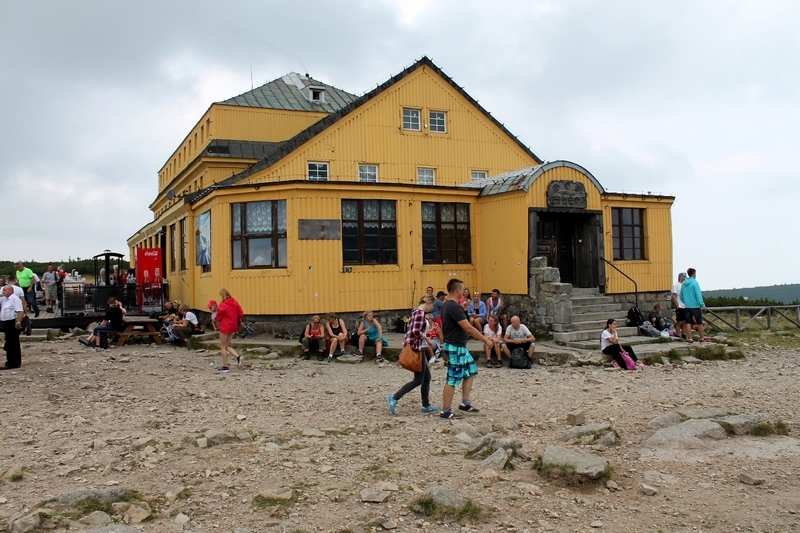 Your hike will come to an end at the Biały Jar bus stop.